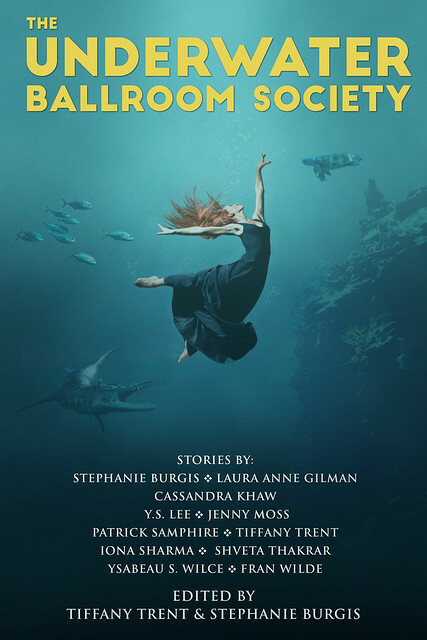 When Stephanie Burgis found what she thought was a magical site, she discovered she wasn’t alone in that opinion — and thus, the fantasy anthology The Underwater Ballroom Society, edited by Burgis and Tiffany Trent. Where was this place and what was the attraction? Both editors are here to explain. There are some places in the world that were simply meant for magic. Have you ever walked into a new place – or seen a striking, evocative photo – and thought: There really ought to be a story set here? When I saw photos of the “underwater ballroom” at Witley Park, I let out a physical gasp of wonder. It was such an incredible concept. It was practically designed for fantasy fiction! I was desperate to read magical stories in that kind of underwater setting. Because I was on Twitter at the time (as I often am), I said just that, quite idly. Of course I didn’t intend to do anything about it myself. I didn’t have the time to write a new novel, or even a novella, no matter how amazing that setting might be. 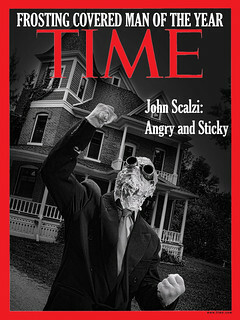 I had contracts to fulfill! I had serious professional commitments! …and, as it turned out, I had a lot of passionate friends who shared the same immediate, intuitive certainty that there had to be magic in a setting like that! And when I replied, ” (Actually, you know what would be fun? 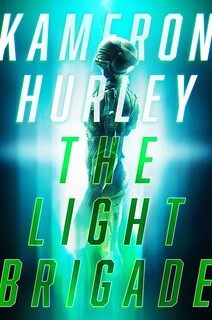 An anthology of novelettes by different authors all using that concept! )” – more and more friends started raising their hands, all drawn by the sheer joy of the idea. Everyone could see the potential. It was irresistible! How could a story with an underwater ballroom not be fun? How could it not be even better with magic or some other kind of speculative fiction concept? Of course, we all had Serious, Grown-Up Authorial Commitments elsewhere…but sometimes, you just have to play in an underwater ballroom for a month or two regardless. Sometimes you just can’t resist diving in. …Because some places were simply meant for magic. As I say in the introduction to the anthology, it’s great to ask “what if?” but the next step is to say, “yes, we can.” I would never have dreamed if someone had asked me a year ago that the underwater ballroom I’d secretly been hoping to write about for years would end up as an anthology I co-edited with one of my dearest writer friends, filled to the brim with fabulous stories from writers I admire. When writers jumped at the opportunity and Steph and I turned to one another and said, “Let’s do this thing,” every story that came in seemed like a small miracle. Each one of them is scintillating in its own way. The ballroom is a smuggler’s hiding spot. It’s the scene of a rock-and-roll showdown. It’s where a fury remembers herself. It’s the setpiece for a heist. Sometimes the ballroom shatters at the end. Sometimes the ballroom is filled with feasts and dancing. Sometimes the ballroom remains perilously empty, waiting for magic that never comes. Sometimes it’s a refuge against the dark. And what has been most wonderful about this, beyond watching our writers build beautiful fantasies on the scaffold of an underwater ballroom, is the feedback we’ve gotten from all of our readers so far. Every advance reader has found something to love in this anthology. The word “fun” keeps getting repeated in every new review, and it’s exactly what we’d hoped for. In times like these, bringing readers such happiness, giving them escape and delight even if only for a few minutes, means the world. This anthology has inspired a sea change, if you’ll forgive the pun. It’s reminded me why we do this work that we do. For all that writing can feel maddening and thankless, there are times when stories can bring magic, especially when seen through the shimmering glass of an underwater dome. Visit Tiffany Trent’s site. Follow her on Twitter. Visit Stephanie Burgis’ site. Follow her on Twitter. What a wonderful idea! Indeed, Atlas Obscura articles could inspire a lifetime’s worth of stories!